Steal the show in your niche market with targeted EDDM marketing. 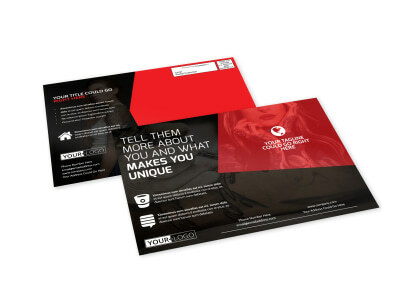 Our creative EDDM postcard templates put the customization of your materials within easy reach. Simply use our online editor to add the components you want to see on your flyers, and then manipulate your design using uploaded photos, graphics, and more. Announce the opening of your new photography business, promote a special on tattooing or piercing, or drum up students for a new dance class with customized flyers that showcase what you’re offering and pique interest within your defined area. We offer professional printing of your finished flyers, or you can choose to print them yourself from any location for fast, efficient distribution.